Yes! To preview your assignments as a student in alta, navigate to your desired course or section. Click on the Coursework tab. Next, click Manage on the top right. 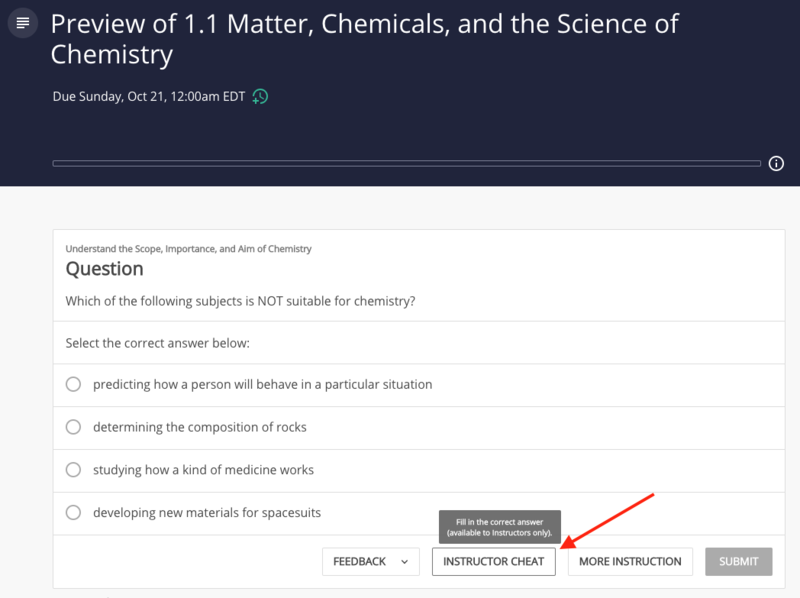 Find the coursework item you’d like to preview and click on the three dots to the right of that item and click “Preview as Student” from the drop-down. Within the preview, you can answer questions and view instruction. As long as you are a verified instructor, you can even choose the 'Instructor Cheat' button to insert the correct answer and help you move through the assignment quickly. Check out the video below for a walkthrough of how to see what your students see.